The interest rates are very low. So many of you ask me for advices for investing in startups, so well I have decided to answer them all at once writing a post. I know, you have heard if you have good luck investing it could mean an increment of 100 times the amount invested. Nevertheless, it is also important to consider that success is not always guaranteed, and that there are many factors that can determine the success. Do not forget they are risky investments. Invest in an area that you know or partner with someone who knows the area very well. One of the ways of reducing the risk of losing invested money is knowing and understanding the market in which the startup operates. Knowing perfectly which the product is, who is buying it, who the competition is and how the management of the market will be is essential. Besides, it will give you the best idea about the success opportunities the product has. Make sure that the business model is scalable, so you can recover your investment, and more. Diversify your options. Instead of doing an only investment, do many. This will increment the chances of earning by the success of one of them, and reduces your risks. On the other hand, involving yourself in various projects will make better your capacity of knowing doing better investments in the future. Check the “tracking record” of the creators and founders. The people that are developing a startup are critical and indispensable components in the starting of a company. It is important that you know which is the motivation for the development of the project, their previous experiences and the value they provide. They are the ones that will give instructions to the team and guide them to success. Explore the market. It is necessary to know who the competition is and what the advantages they have over the company are. 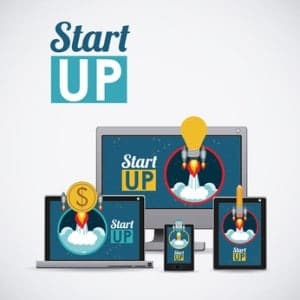 As one of the components of the startup is the innovation, it must be guaranteed that a need is being satisfied or that a solution for a problem is being looked for. The founders must be attentive to the market’s requirements and to what the consumers are asking for. It is important that this is deeply detailed, since many times the lack of awareness brings as a result the failure of the project. Pay attention to the legal part. The understanding of basic concepts and a lawyer’s counsel are necessary in the investment process. Check the project’s documents, the investment agreements, the legal terms, and everything that is precise for you to understand how the structure of the company is and the people involved. Besides, it is important to have well defined which is the percentage of the company that you will possess for the money that you are investing. In conclusion, there are many investment opportunities and very good project ideas, but not all are developed in the correct way to reach success. You must be aware of which the best ones are to get the best profit from your investment.